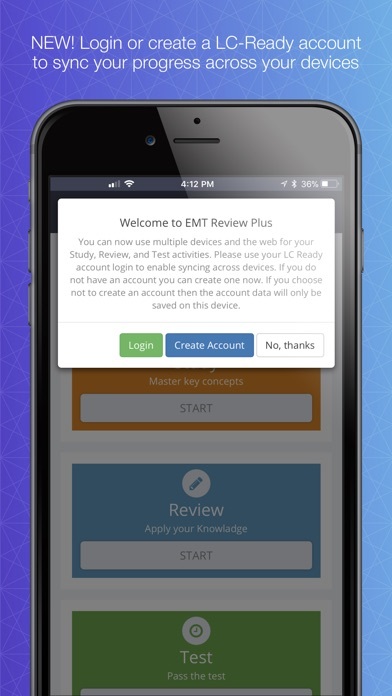 Get the edge you need to pass the NREMT, with EMT Review Plus And get that edge whenever and wherever you have a minute to study, whether you’re on a mobile device or sitting at your computer. 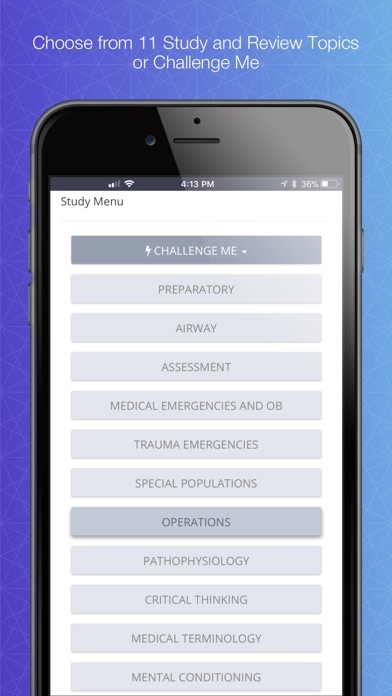 Using this easy-to-navigate app, you’ll hone your knowledge of the following topics, critical to being fully prepared for your NREMT or state certification exams: Preparatory Airway Assessment Medical Emergencies and OB Trauma Emergencies Special Populations Operations Unique to a number of the Limmer apps, including EMT Review Plus, is additional content and a structure that will teach you to better read and understand an exam question. We’ll teach you how to identify a question’s key parts and solve the puzzle within while increasing your knowledge of medical terminology and pathophysiology. EMT Review Plus will improve your thinking skills Critical Thinking: these questions expose you to concepts and content vital to thinking critically (by analyzing, assessing and reconstructing a situation) and understanding your patients, as well as the test questions! Mental Conditioning: you’ll literally get a workout for your brain, with questions containing key fact patterns. It’s these fact patterns you need to learn to recognize for the exam. EMT Review Plus will improve your technical skills Medical Terminology: you can’t answer an exam question or talk to a patient unless you know the language. Here, you’ll speak and understand the language of medicine by reviewing common and important terms. Pathophysiology: today’s EMTs need to know more pathophysiology than ever before. This section will help you better understand key pathophysiological principles and relate them to the exam. You’ll master key EMT concepts through repeated practice with flash cards, review questions and NREMT-style, timed practice exams. 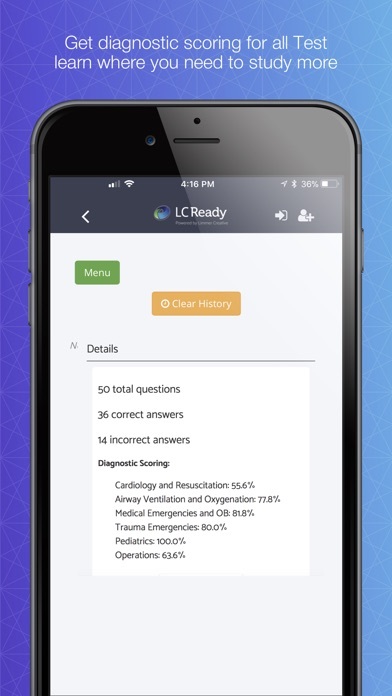 Plus, in the Review and Testing sections, you’ll get the rationale behind the right answer, including information you need to be a better test taker and EMT. Yes this app can help you study, quiz then practice test. Unfortunately it now requires internet to boot up. This app didn’t always have a programed reliance on an internet connection, back then it was perfect. This app really does help! It’s worth the money if you want to pass. I love this app very informative, however there still are some answers that are not complete and they need to proofread this app and fix them. In no way would I not suggest this app, The information is very relevant to my study and I’m very pleased with the way it is set up and how it functions. Some questions make no sense and are the opposite of what I learned in class. I suspect they are old questions from years ago which also adds to the different answers to the same questions. Got a lower score on the second practice test after hours of studying because of this. Update your app with recent information please. I studied this app literally everyday for a month and pass my nremt the very first time! It's definitely worth your money !! I got this app and passed my NREMT the first time. Some of the material is different than what I have learned but the majority is the same. 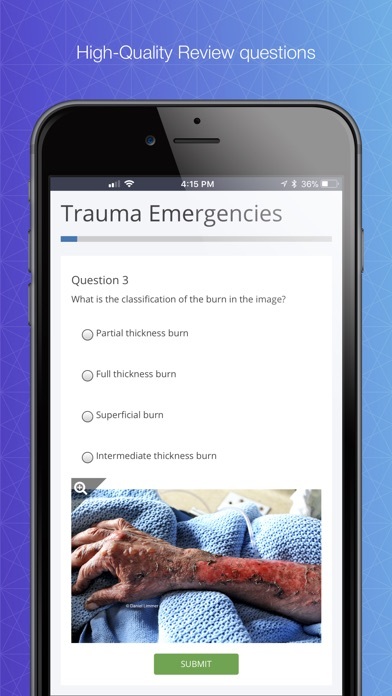 This app is great and is helping me to get through my EMT class and hopefully pass the NREMT exam. Only thing I dislike is some of the information differs from my book so they need to update it a bit. Other than that, great app.